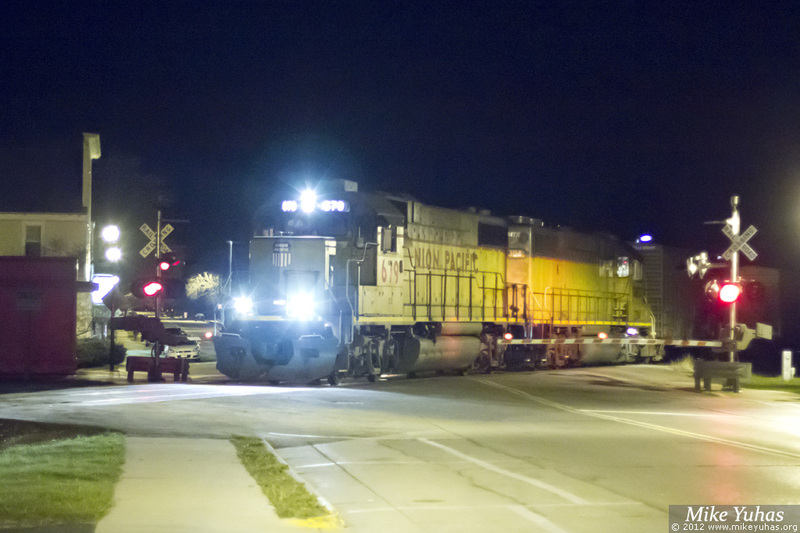 Union Pacific's Sheboygan local, LPA79, heads north through Cedar Grove. This job leaves Butler after dark, shuttling cars to Sheboygan Sunday through Friday nights, working the two industries en route as necessary. Tonight's train consists of back-to-back geeps and 10 cars.